We offer support and guidance in extensive areas of law with emphasis on: Immigration, Personal Injury, Civil Litigation & Family law. We work closely with our clients providing them with positive and practical solutions. At your initial consultation, we will find out the advice you are seeking and your objectives. We will provide you with advice on how strong your case is, what possible compensation could be payable or what are the best available legal options to carry out resolving the matter. If you have suffered a personal injury or illness come to Local Solicitors. Our expert personal injury team understands that compensation is only part of the story, and could help you to access the right rehabilitation. Local Solicitors handles all sorts of family cases. Whether it’s about separation, divorce, a child’s custody dispute, inheritance, civil partnership or more. Local Solicitors provides many services under commercial law. If you have any issues related to Property possession, debt recovery or any other commercial maters contact us immediately. Local Solicitors are automatically Commissioners For Oaths and have powers to administer oaths, take affidavits and statutory declarations. Local Solicitors deals with all types for UK Immigration Matters. The immigration solicitors at Local Solicitors are experts in dealing with asylum and human rights claims. Local Solicitors provides complete guidance and legal assistance for all types of UK visas within UK or from abroad. Been in a road traffic accident that wasn’t your fault? Contact Local Solicitors Now. Local Solicitors handles all sorts of family cases. We deal with divorce, child’s custody dispute, inheritance. Slip and trip because of uneven pavement, a wet floor in a supermarket or at injury at work place, We will advise immediately on it. Each year we help hundreds of people to make successful claims after an accident. We deal in Landlord & Tenant, Contract & Commercial Disputes, Nuisance claims & Debt Collection. Contact us for Power Of Attorney, Change of Name Deed, Certification Of Documents, Statutory Declaration Affidavits etc. I would like to say thank you to everyone at local solicitors for their handling of my immigration matter. Their expertise was highly valuable throughout. Although it took bit longer to get a positive outcome but I am very pleased with the results. Local Solicitors have proved to me beyond all reasonable doubts that they are not only a firm of solicitors that can be relied upon but have also shown to me a very high standard of professionalism, empathy in their quest to understanding my problems. I am very satisfied with their knowhow. Extremely helpful and professional, I was constantly kept up to date; I would like to thank you for your help and assistance in supporting me throughout. I found Mr Hunjra at Local Solicitors extremely knowledgeable, honest professional, courteous and helpful. My best interest was represented throughout. I thank you Local Solicitors for the honest expert advice, excellent services and a satisfactory outcome. I am really pleased with you and will definitely recommend your services to my family and friends. My many thanks to all the staff at Local Solicitors for their excellent care and attention. They kept me updated in all occasions and helped me to settle the dispute. For 100% Honest Legal advice, Contact Local Solicitors Now. We offer free initial advice in most areas, to contact us you can call us fill our online enquiry form. 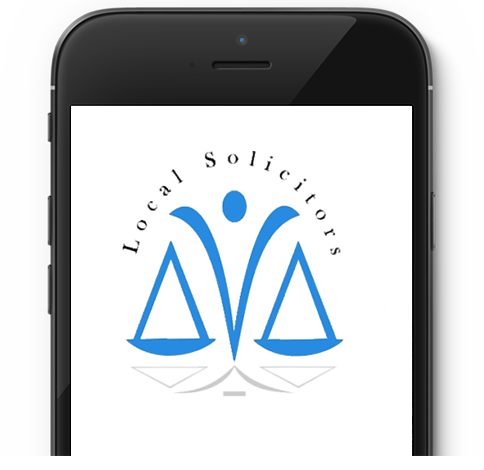 Local Solicitors is one of the leading regional law firms in London. We are fully committed to providing our clients with professional and qualified representation and honest legal advice. We are dedicated to working in close partnership with our clients and local community. We offer support and guidance in extensive areas of law.